The Cumberland River is one of the few whitewater runs in Kentucky that flows all summer, providing refreshing relief from the southern heat and humidity. 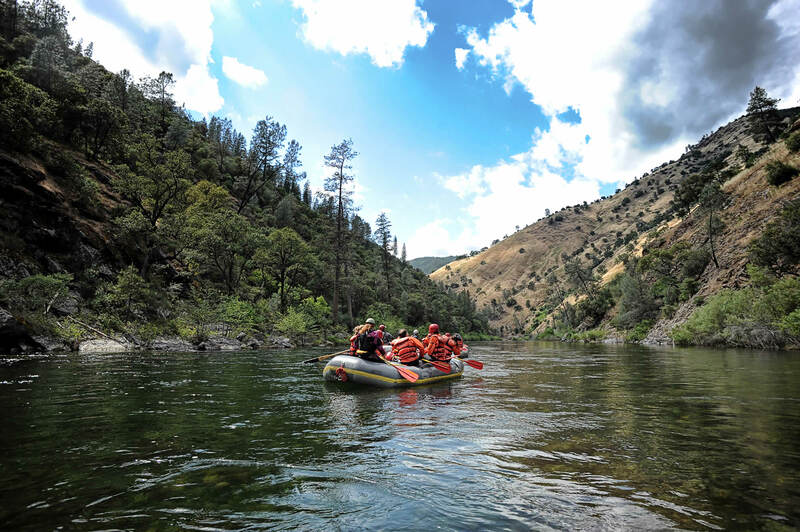 The Cumberland River is dam controlled and the reliable flows allow for a long rafting season from May-September. There are outstanding accommodations including a comfortable lodge and dining facilities, as well as free wireless internet, in the Cumberland Falls State Resort Park. Cumberland River rafting trips are located halfway between Lexington, KY, and Knoxville, TN, and Atlanta is only 4 1/2 hours away. Just below the high and mighty Cumberland Falls, aptly named “The Niagra of the South,” is the put-in for Cumberland Falls whitewater rafting trips. Cumberland Falls is a 125-foot wide curtain of whitewater that pummels 60 feet into the Cumberland River. Rafters get a beautiful view of the falls at put-in before they paddle downstream into waves of whitewater. Cumberland River rafting trips are five miles long through Class III rapids such as Center Rock and Surfing Rapid. The Cumberland Falls rafting trip is ideal for families and beginning paddlers. 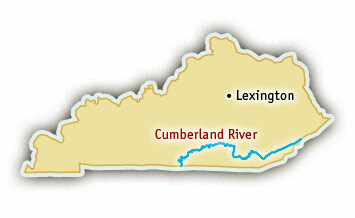 The Cumberland River is one of the few rivers in Kentucky that flows all summer long.